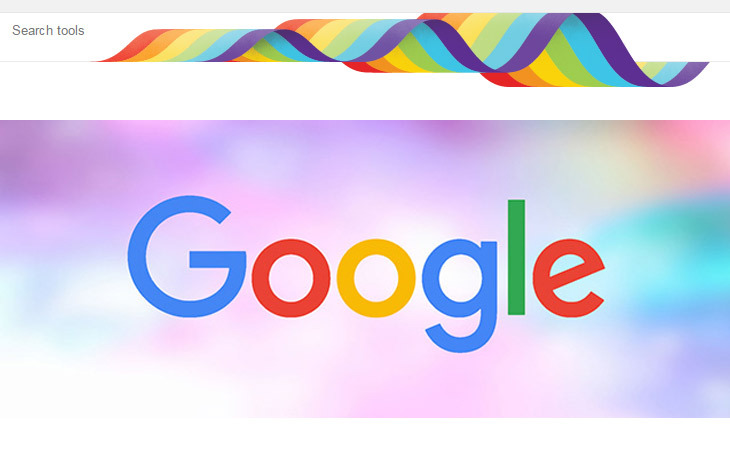 Google Gay Pride 2016 Search Result Design: Every year, Google updated their search bar for this month Gay Pride Month. Just search yourself on the following words [gay], [pride 2016], [lesbian pride parade], [lesbian pride], [lesbian], [homosexual], [gay pride], [gay pride parade]. 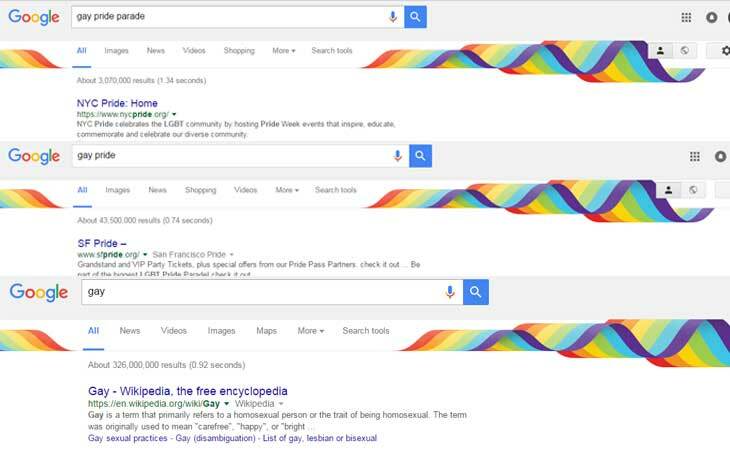 By using the above words on google Search bar, you will get the June Gay Pride Banner at the top of the search bar in desktop and mobile search results. 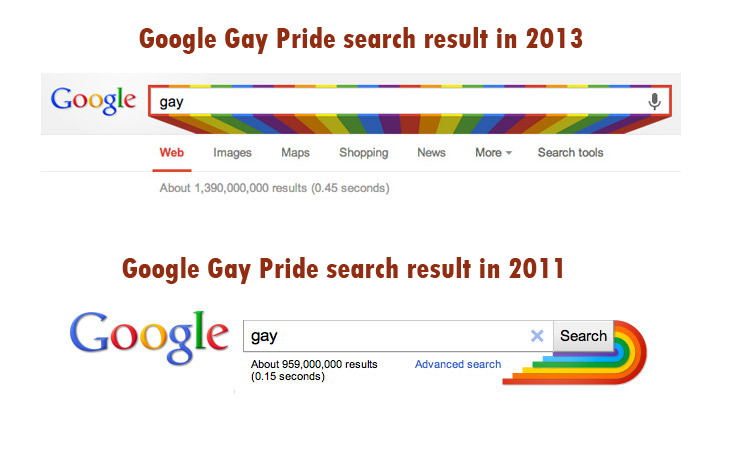 In 2015, 2014, 2013 and soo… Google updated their Search Bar for this June Month. Here we provided the some previous year screenshots of June Gay Pride Month.